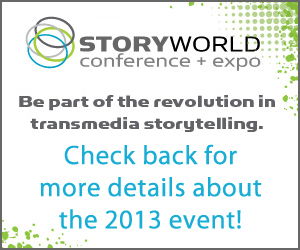 Led by storycentralDIGITAL founder and transmedia pioneer Alison Norrington, StoryWorld’s conference council is an international group of the smartest, most in-the-know people working in media today. Together, they’ve identified the hottest topics in storytelling and used their considerable influence to attract the best possible experts to provide solutions and insight at StoryWorld. Christy Dena specializes in the design and production of trans/cross-media projects. Recent projects include working with Tim Kring, The Company P and Nokia on Conspiracy for Good; with No Mime Media and Cisco on The Hunt; on ABC’s global alternate reality drama Project Bluebird; and with the Bangarra Dance Theatre Company. Christy has recently run Transmedia Victoria and has given keynotes and speeches at Power to the Pixel, TEDxTransmedia, XMediaLab, Crossover, Cartoons on the Bay, Whistler Film Festival, Slamdance, DIYDays, the First International Conference on Cross-Media Interaction Design, and many more. Ian Ginn is a creative producer with 20 years experience in the entertainment and digital media industries. Working with multiplatform storytelling since 2004, he founded Hubbub Media in 2008 to develop original transmedia properties. He is a frequent expert speaker and moderator at international events including TEDxTransmedia Geneva, Power to the Pixel London, Cannes Film Festival, San Sebastian Film Festival, and Mobile 2.0 Europe Barcelona, and NPOX LAB Transmedia. A committed educationist he mentors professionals on developing their transmedia projects in programmes such the EU MEDIA-financed PixelLab as well as individually. 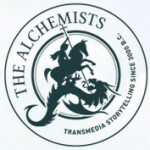 He founded the non-profit Transmedia Learning Network in 2010 to develop and deliver transmedia innovation, education and training. Ian is a leading strategist on transmedia storytelling, advising companies and organisations including Sanoma Publishers, the Netherlands Public Broadcast Company (NPO), the Netherlands Film Festival, the European Broadcasting Union, and the EU MEDIA Programme. Brian Seth Hurst is CEO of The Opportunity Management Company, a strategic consultancy driving the next generation of entertainment. Referred to as “the father of cross platform”, Hurst coined the term in 1998 as MD of Convergent Media, Pittard Sullivan, where he launched TV Guide as the first ever cross platform brand. Hurst's credo “go to where your audience lives” continues to transform the relationship of audiences to brands and programming. TOMC has assisted broadcast clients and content rights holders in extending their programming and building communities on new platforms. The company has a rich practice in the building of “multiplatform ecosystems” including multiplatform storytelling, Alternate Reality Games and the burgeoning field of Augmented Reality. Clients have included: Showtime, Lifetime, SVT (Swedish Pubic Television), New Zealand Trade & Enterprise, NBCUniversal, Intel, Les Mills Fitness and AOL as well as successful start-ups including McLean Masterworks, Nixle and Paltalk. Hurst was on the team at Pittard Sullivan as MD of Convergence that developed the original user experience for TiVo. He sits on the advisory boards of MobiTV, Zannel, Vwalls and Nixle. Hurst is currently a principal and at work on Tim Kring’s (creator of Heroes) project the “Conspiracy For Good” for which he created the terms “Social Benefit Storytelling” and “Social Benefit Marketing” to describe this new entertainment genre and the project’s impact. Hurst spent 10 years on the Board of the Academy of Television Arts & Sciences building the Primetime Emmy® Brand Strategy and serving in various positions including second vice chair. He served 3 terms on the Board of the Producers Guild of America, serving two terms as Chairman of the PGA’s New Media Council. Recipient of an Interactive TV Today Award for Leadership in Interactive Television, he was profiled in Emmy magazine as one of the 10 media executives leading the industry’s digital drive and was named two years running to the Hollywood Reporter/PGA Digital 50. Hurst was appointed Global Digital Ambassador for the International Academy of Television Arts & Sciences in 2009. He is currently host of the series “StoryCentric” at ITVT.com. Chad Phelps oversees the growing online and digital portfolio for F+W, including eCommerce, enhanced and eBooks, mobile applications, online sales, and site development. His previous media industry appointments include Vice President at CK Media and Group Director for Penton Media. Chad’s expertise extends into the mobile and console gaming markets, and he has worked to implement community-building and marketing strategies for Microsoft, Nokia, Sony, Ubisoft, and Activision, among other industry leaders. He is co-owner of several gaming Web sites, including the original site dedicated to xbox (XBOX365.com), launched in May 2000.